Do you need to become re-centered in you life? Could you use a “reset” right about now? What if it finally dawned on you that you wouldn’t step out your door each day unless you were armed with the reminders brought about by The 100-Day Prosperity Plan™? What if, similar to eating breakfast, brushing your teeth or sleeping, there are certain things you simply do because they invaluably improve your day? What if, once you discovered your Connection, you simply wouldn’t be without it? CORE Resonance is about your Connection, “from whence you came,” and delivers a roadway to re-enable your natural state of Connection with Source, a term I use interchangeably with Innate Intelligence, The Divine, Truth, God, etc. 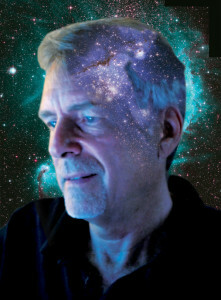 With 40 years background in meditation (I began with TM in late 1973, and discovered neurofeedback in 2006), I offer a fast-track (as I’ve discovered it to be) for advancing personal consciousness. This shows up in your life as every possible type of performance you can imagine – and far beyond what you might expect. Would it help if I told you I devised and initiated The 100-Day Prosperity Plan™ in late 2004-2005 right after finishing my first book, Visionaries Thrive In All Times? Or that I revised “100-Days” in 2008 when I did the lessons a 2nd time, and took off on another streak of good fortune when I last went through the lessons in 2011, except I am now in Day 028 in late March of 2014 and each time delivers me higher and higher? 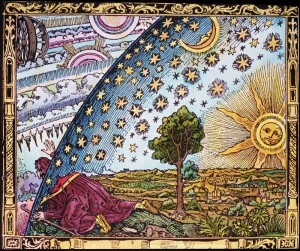 And today, May 22nd, I am on Lesson 76 and the revelations and insights are astounding. In nurturing your Connection, your life opens up and becomes revealed to you! Would it help if I told you that visionariesLab and later CORE Resonance came directly out of this process? Not to mention my first quantum physicist..
And that the quality of your Connection is crucial to the expression of any success, any endeavor and any goal you wish to achieve? The human being is no different from anything else in Nature. We must have our intact connection, and without it, we are dysfunction each and every day of our lives. It is in the re-establishing and maintenance of this Connection that our lives take on new governance, new order, new possibilities and new solutions. New levels of Success! If ever there is any one thing we should do in our lives.. and this comes far before paying homage to the gov, i.e., the driver’s license and paying taxes, or any of our daily chores, we must cultivate and foster our relationship with Innate Intelligence. It is our truest lifeblood, our truest companion and our only true source of Sustenance. ..just as I was writing the above. Now, it’s true it was on my list to take the lock to Home Depot to be re-keyed… but this is an example of what Synchronicity, Harmony and Order™ looks like, and fully fits my of definition of Prosperity and Abundance. Some would scoff, but when it happens again and again (and again), this then becomes the definition of Prosperity and Abundance. AND it becomes quite apparent that we are tapping into something Higher. This is what CORE Resonance is all about. PS That intuitive insight, and how it formed in my awareness, kind of like a shimmering resonance, is still tangible.. I can still recall how it feels when these two insights guided themselves into being. Sign up. There’s no one to ask permission of and on the scale of things, $597 is a paltry sum. This material is so intimate and there’s so much to learn about yourself – and your Connection. Your email instructions will begin to arrive almost immediately. 1) In the space of an hour, I’ve already locked myself out of the shop once! 2) And, one of the things I’ve noticed lately (noted at Lesson 028) being in present time with you and all.. I have more food and better food in my refrigerator and it just kind of piles up. Same thing with wine. I don’t drink at home but I have 5 bottles of wine plus a box wine container right now. This is kind of hard to describe..
3) Within a matter of about three hours of finding the key, I went to Safeway to fill my 3 three-gallon drinking water bottles and return a DVD to Redbox. In a very busy Safeway at 7:30 on a Saturday evening, I got a parking spot directly in front of the water machines for my 3 three-gallon bottles which are kind of heavy when they’re full..
4) Even better – but do not try this at home 🙂 While I was at the Safeway, I went in to return a DVD disc to the Redbox machine and a couple was having trouble finding a movie so I had to wait (and wait) for them to finish their selection process. Eventually I said, “let me put my DVD back into the machine and you can get it.” They asked what the movie was, I told them “Gravity,” and they said that’s what they were looking for. 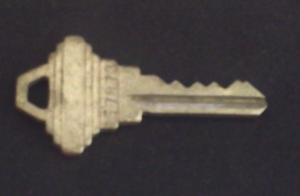 5) Since I am having too much fun here.. the key I found now sits permanently on my keyboard as a constant reminder of that doorway/portal represented by internal messaging/insight, Lesson 028, and what it looks like/feels like. This is what CORE Resonance is all about. 6) When in the 100-Day Prosperity Plan™ forum, and I think you are serious, ask me a bit more about my insights from this experience and Lesson 028. Be careful with the mind and too much expectations too fast.. Present time works best and the lessons will take care of the rest. The best part is to come.. Learn how to take (and write) your insights from the lessons and take them into Soaring Affirmations™.. and then you’ll start grounding what I’m talking about. CORE Resonance offers a 100% Satisfaction and Money-back Guarantee because if you do the program, there is no way that you won’t be satisfied. No way! And, while it may take a bit of adjustment in your life to accommodate 30-minutes (!) into your life, if you want it badly enough, you and I both know you can do it.. Truthfully, it is about patterns and habits and once you start to see benefits, you will clear your calendar and re-set your calendar with The 100-Day Prosperity Plan™ as the core of your day. Everything else pales. Your work, your significant other, your kids, your football and TV life, everything pales. Of course, we’re hoping you include your wife or girlfriend/boyfriend/husband, etc., but start with yourself. You is where everything starts.